I know I went to Amsterdam a while back, but you know the saying better late than never ... 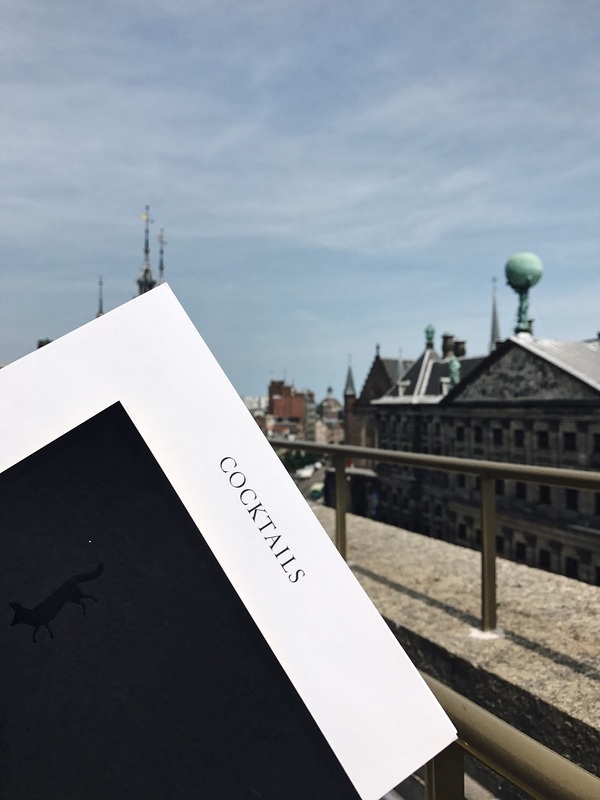 I love to share my favourite places and I found some gems in Amsterdam so it'd be pretty selfish to keep them all to myself. 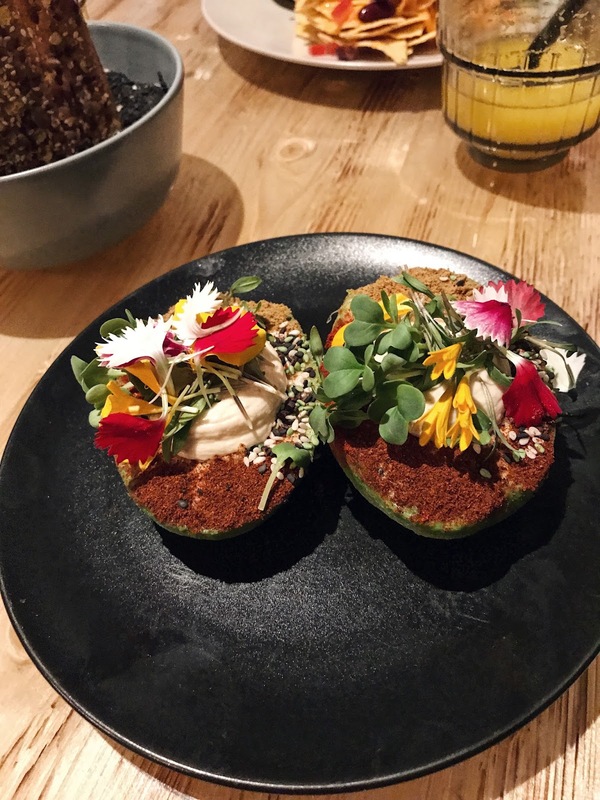 If you caught up with my last Amsterdam post you'll know that the hotel I stayed in was home to the eco bakery sticky fingers. 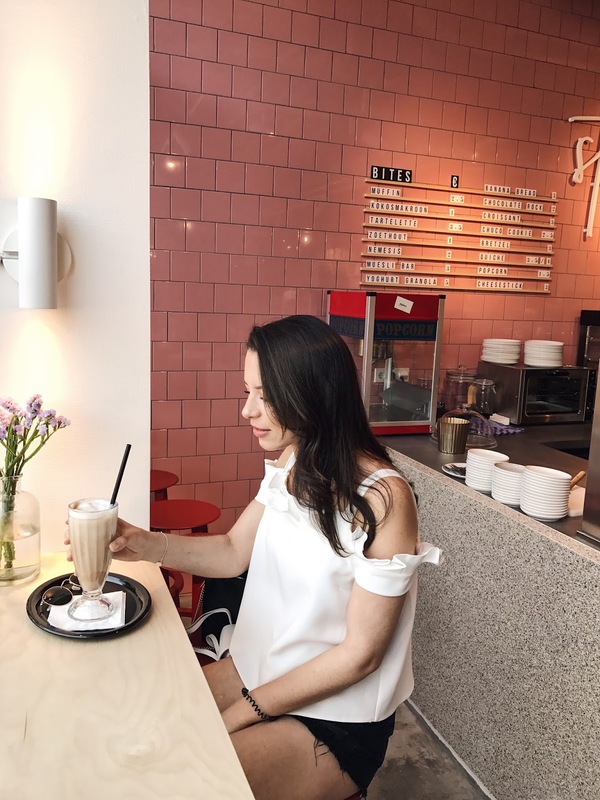 So I had to try out the breakfast, it was the perfect spot for an iced coffee and some granola and yoghurt before we spent the day exploring! 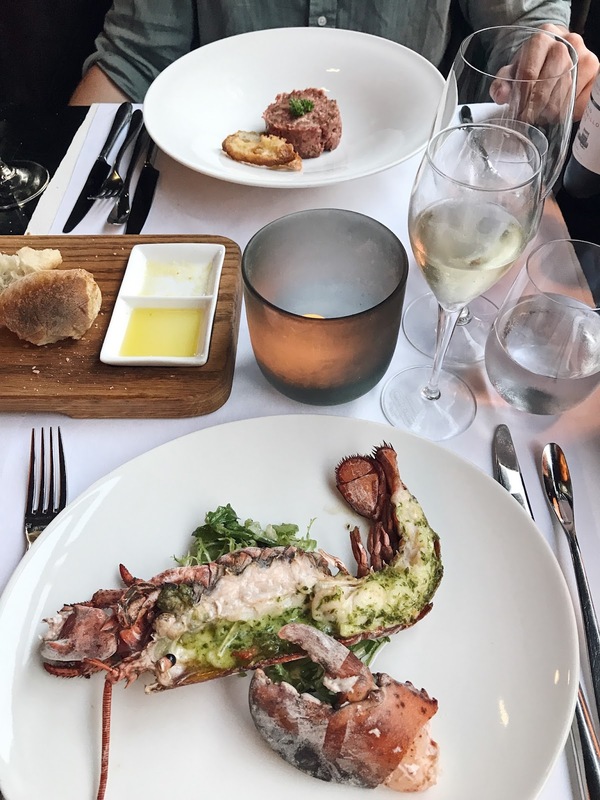 For my actual birthday meal, Ollie took me to restaurant red - a lobster and steak restaurant overlooking the picturesque Keizersgracht canal. The food was delicious, the interior was stunning and they made my birthday so special! 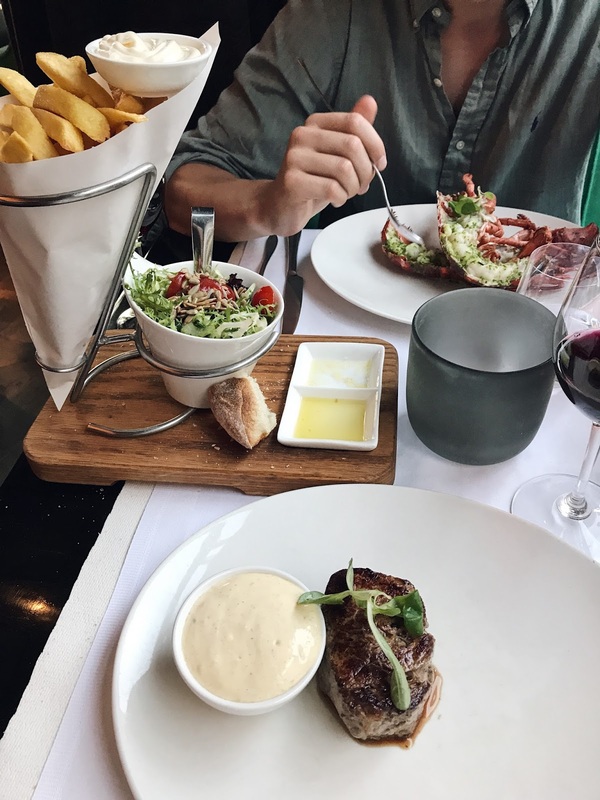 For starters I had the lobster, and the steak for main (this was before I became pescatarian!). 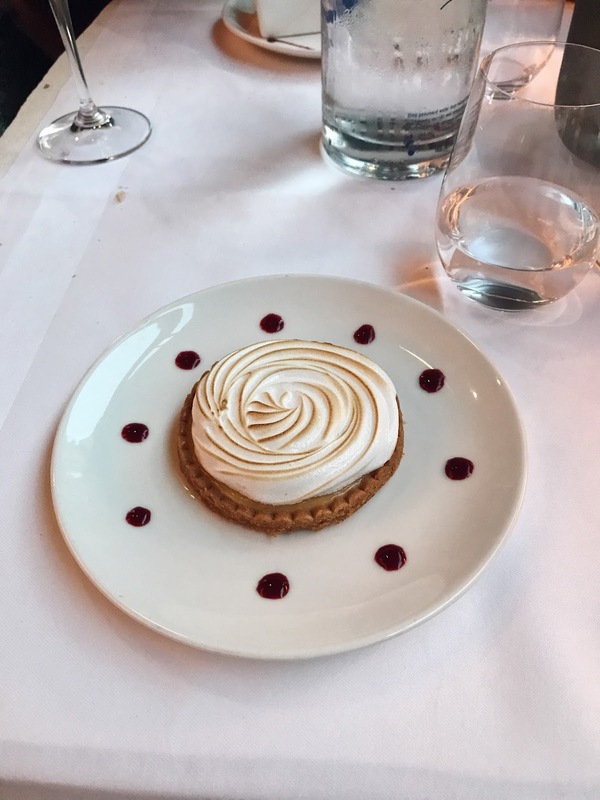 Now you can't say no to dessert on your birthday... so the lemon tart was a no brainer! Accompanied by some champagne and delicious red wine! 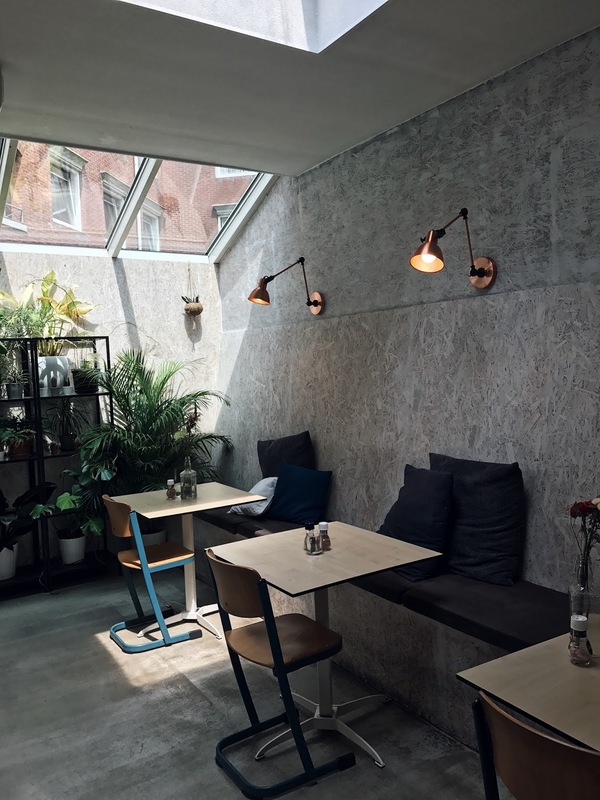 The seafood bar has three locations in Amsterdam, the interior is so modern, the food is delicious and we were so lucky with the weather - we managed to wait outside! 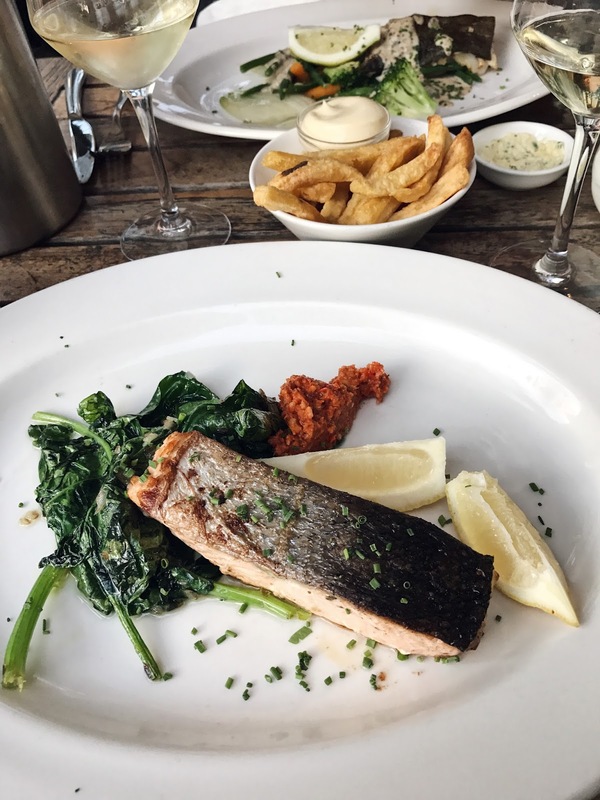 We decided to share the scallops and I had the salmon fillet with spinach and romesco salsa - it was amazing! We visited the spui branch, however unfortunately since we visited there has been a fire, it will be back open in November - be sure to check the other two locations! The WET deck at the W is the perfect terrace to enjoy a few drinks in the centre of the city! Considering the location the price is very reasonable! It's free to go onto the terrace and to use the pool (wish I packed my swim suit!) and it's the best little sun trap too! 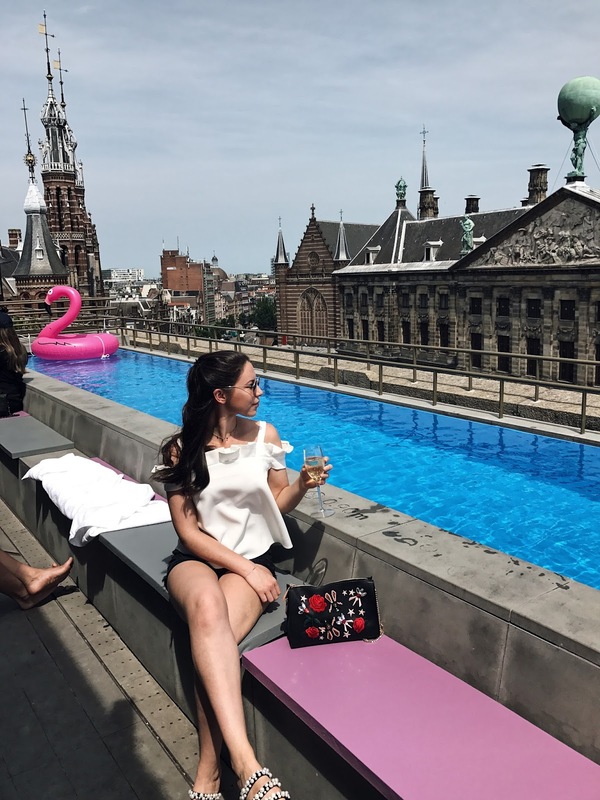 Possibly my favourite afternoon in Amsterdam was spent here at the W.. turning 22 with nothing less than a glass of a prosecco in one hand and a huge smile on my face! Have you ever been to Amsterdam? 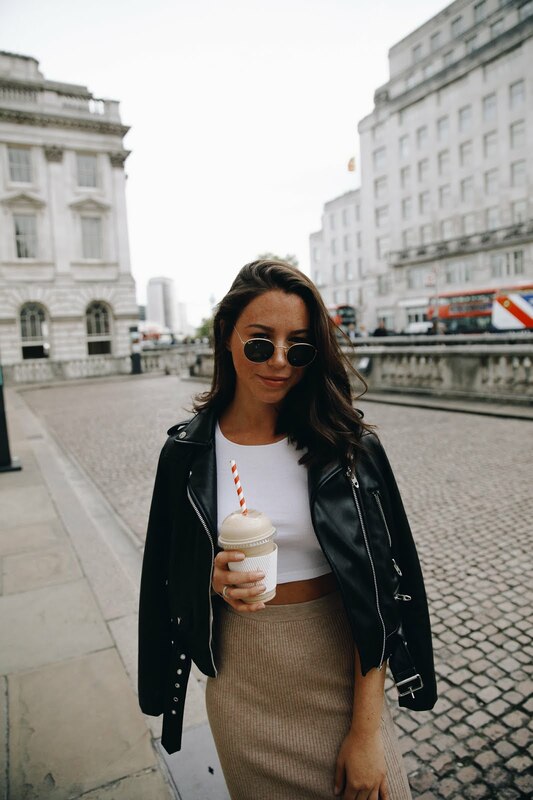 Or are you planning on going soon - let me know if you visit any of these places! 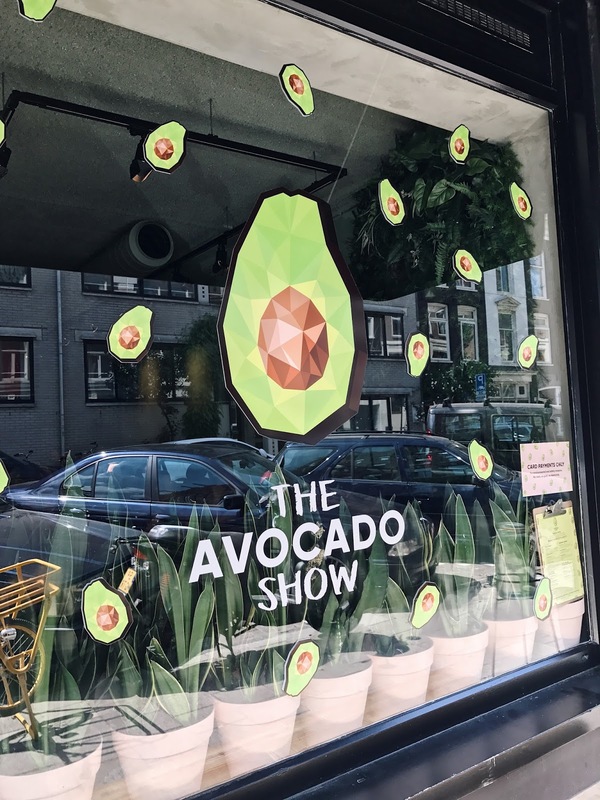 Wow, you found some incredible foodie spots in Amsterdam! 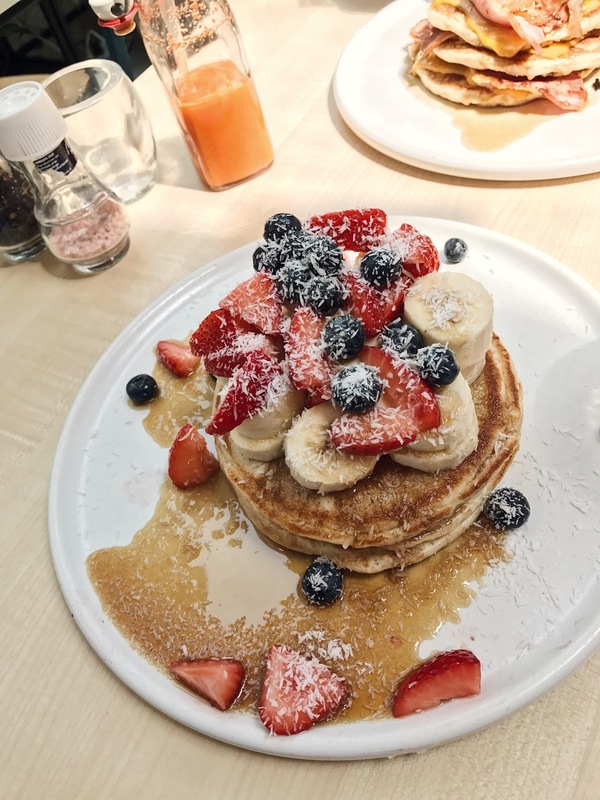 Those pancakes look absolutely incredible. That lobster looks incredible, too. 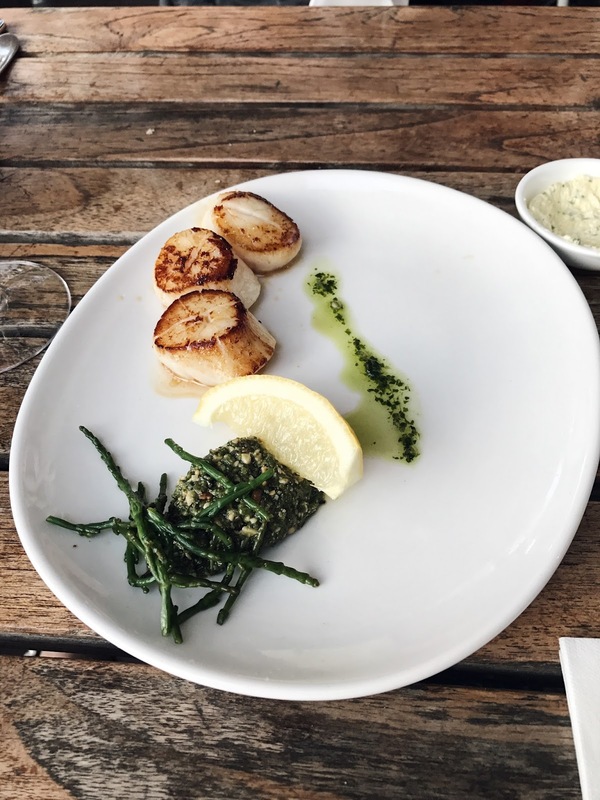 Foodie envy over here!